TREATs is back for October! 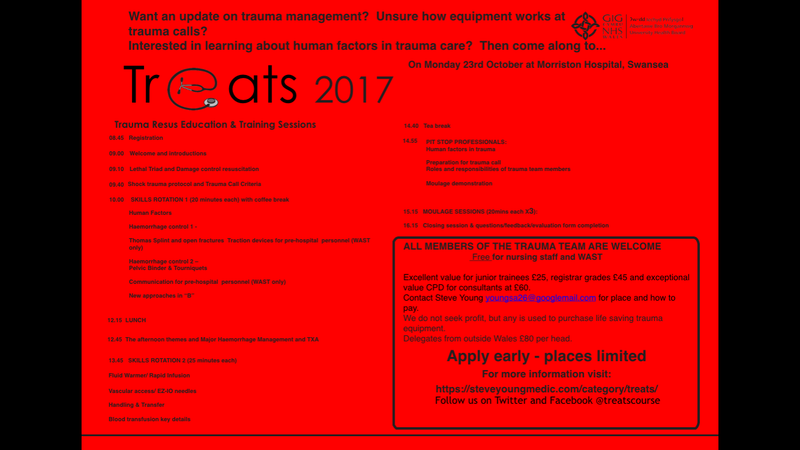 A vital course for anyone managing trauma patients! Next Next post: Basic Anaesthetic Drug Doses and FRCA primary knowledge.